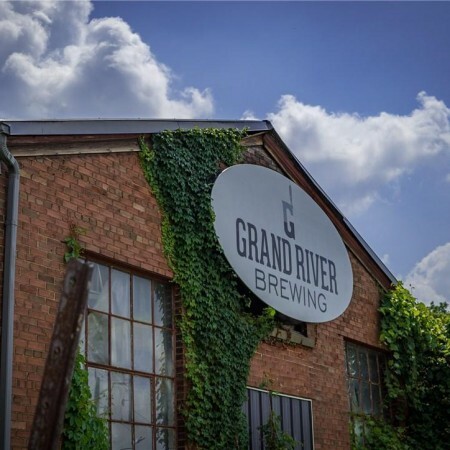 CAMBRIDGE, ON – Several months after it was reported to be up for sale, Grand River Brewing has been purchased by fellow Ontario craft brewers Magnotta Brewery. Magnotta Brewery is on the cutting edge of craft brewing in Ontario and we know consumers are on the hunt for beer brands that are fresh, innovative and reflective of vibrant, extraordinary communities. Our acquisition of GRB allows us to further address the needs of our customers and showcase the greatness of the Galt community in new and ingenious ways, while still offering customers their favourite GRB products. We understand the importance of preserving community ties and traditions and we look forward to running GRB as an independent business, engaging our customers and guiding them on a journey of taste discovery in craft beer. We are happy that Magnotta Brewery, an experienced leader in the craft brewing industry, is taking over the reins that will direct GRB to greater heights, and we are excited to see what’s to come. GRB has always relied on the rich history of the Galt and surrounding communities to inspire and create fine, quality craft beers for its customers. We want to thank our customers for their years of commitment and loyalty and we assure you that GRB will not be changing but continuing to provide you with the same great products and so much more. No financial details or other information about the transaction have been announced.